Being charged with a crime is one of life's more frightening experiences. Once you are arrested, your freedom is in jeopardy. People in this situation feel they are at the mercy of the arresting officer and criminal court system. Most do not know or understand how the process will proceed or what happens next. Unfortunately, for many, this situation results in a bad plea deal, an excessive sentence, high fines, or even worse a wrongful conviction. If you are charged with a crime in New Jersey then it is imperative that you retain a New Jersey criminal lawyer immediately. Attorney John B. Fabriele is here to help and aggressively protect the accused throughout our state. Call today for your initial consultation. John will answer your questions and begin planning a defense strategy the instant he is retained. He knows that this is the worst moment of your life, and is committed to taking as much fear out of the process as possible. Once hired he will immediately appear on your behalf, assist with the bail process, and begin any necessary investigation. Our office will keep you up to date on your case, and John is easily accessible so that he may answer your questions and deal with your concerns. John has been defending the rights of the accused for almost 20 years. He possesses the knowledge, passion, and dedication to protect your rights and freedom. His office is located in East Brunswick, and is easily accessible to all counties in the state of New Jersey. John understands that your case should be handled by an aggressive attorney who possesses the required skill and experience with respect to the charges you are facing. It is important to John that he knows each and every client retained by his office. He understands that the facts of each case are unique and will apply his extensive experience to approach your case from a point of view that many other attorneys lack. Your long-term future is at risk and this type of unique view is required to ensure a favorable outcome. Contact our office online, or by telephone today. John has extensive experience and has successfully defended those charged in both New Jersey's Municipal and Superior Courts. He can help if you are appearing in Municipal Court for charges involving marijuana possession, shoplifting, or simple assault. He also effectively handles larger, more serious matters in Superior Court, such as burglary, robbery, aggravated assault, and cases involving gun crimes. No case is too big or too small. Our office values high quality representation for all clients. We aggressively defend your freedoms, civil liberties, and constitutional rights (en en español) from the beginning of your case to the end. Call us today to schedule a free consultation. 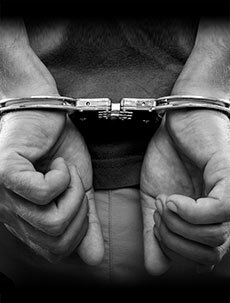 Most individuals charged with a crime have a number of questions when it comes to hiring a New Jersey criminal lawyer. You are probably wondering if you can afford legal representation, how your lawyer will defend your case, and if your attorney is going to answer all your questions. Our office strives to provide high-quality representation at an affordable price. Most cases can be handled for a reasonable flat rate, and payment plans may be an option. During your free case evaluation, John will answer all of your questions, explain all the steps in the criminal process, and explain your legal options to you. Once retained he will begin his investigation, obtain discovery (evidence), and develop your defense strategy. His hard work, attention to detail, and knowledge has helped many New Jersey clients with the most serious of criminal offenses. Call today and learn how John can assist you. We are excited to announce the 2018 Fabriele Disability Awareness Scholarship, an annual scholarship with the purpose of bringing awareness to the Americans with Disabilities Act and the ways that it is meant to extend the rights of those that Constitutional rights do not go far enough for. This $1,000 scholarship will be awarded to a student who presents a personal statement on the Americans with Disabilities Act, and how it has helped, fallen short, or failed Americans. In addition, applicants must have a minimum cumulative GPA of 3.3. The deadline for applications is October 31, 2018. Here is more information on the application process and eligibility requirements for the Fabriele Disability Awareness Scholarship. Can Cops Make You Unlock Your Cell Phone With Your Fingerprint in New Jersey? Recently, Virginia Circuit Court Judge, Steven C.